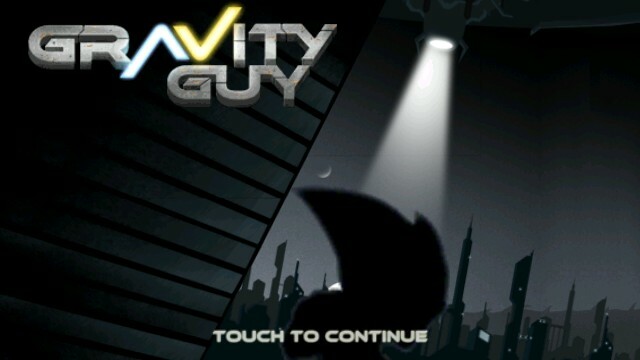 Gravity Guy is an amazing arcade game for Nokia N8 and all the other supported Symbian^3 phones. What really makes this game great is the ease with which it can be played. Here, the Gravity Guy runs automatically in a single direction and you need to escape from the enemy running behind. 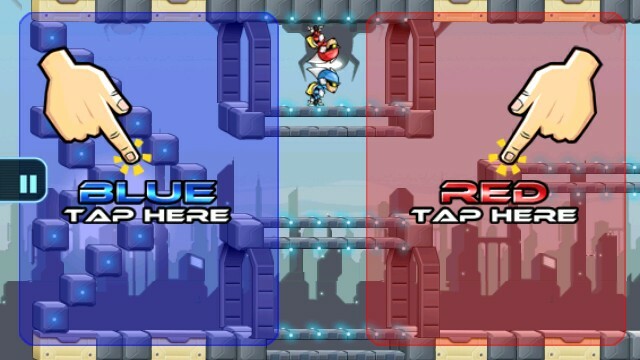 Each tap of the finger changes the gravity of the player. You can change the surface of the running player by touching the screen. If it is running on the floor, a single makes the gravity guy start running on the ceiling and vice-versa. 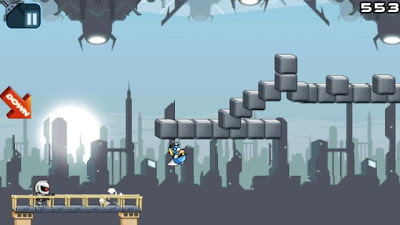 Apart from escaping the chasing enemy, you have to ensure that you skip the breaks in the surface by changing the gravity orientation. This game can also be played in a multi-player mode where the screen area is divided for each player. 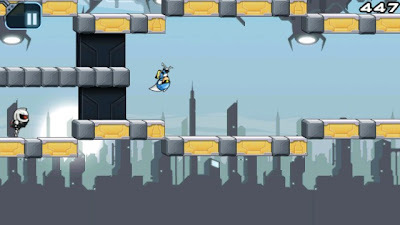 This means that one player can change the gravity orientation touching the left part of the screen and the other touching the right part of the screen. Whoever reaches the end of the stage wins. You have more than 1 life to compete in the same session. 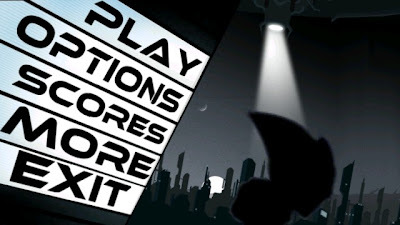 This game is top quality with a nice background score and runs very smoothly on the phone. This game comes from Miniclip.com's Mobile Game Division and quite achieves the mood that it is designed with a view to.